SAN JOSE, CA, June 27, 2012 – Cisco today announced the availability of Cisco Connect™ Cloud, a software platform for Linksys® Smart Wi-Fi Routers that redefines and dramatically simplifies how consumers connect, control and interact with their connected devices, including personal entertainment and home appliances. Cisco Connect Cloud is designed to handle all the tiresome and complicated technical aspects of home network set-up and connecting devices to the network. This enables the average person to get on with using and enjoying their Internet service, as well as a wide range of new uses enabled by the home network. Cisco also announced the availability of its Cisco Connect Cloud mobile app which provides easy access to Cisco Connect Cloud on a smartphone or tablet, while at home or on the go. 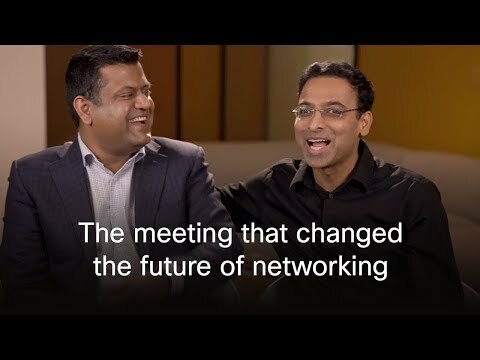 One breakthrough feature with Cisco Connect Cloud is SimpleTapä. SimpleTap lets consumers connect devices to their Linksys Smart Wi-Fi Router with as little as one tap of a button or with a quick swipe or scan of a device or tag, making it easier than ever to add devices to the network. Additionally, Cisco unveiled the first set of mobile apps from third party developers that provide extended experiences to Linksys Smart Wi-Fi Routers. There are six new developer apps including an app that lets people search and "beam" online videos to a Smart TV or AirPlay® compatible device; an app that helps install home monitoring cameras and enables monitoring at home and on the go; and apps that give parents easy ways to keep their children safe online, even when mom and dad are not at home. "We are changing the game when it comes to the connected home by ushering in a whole new level of experiences, simplicity and convenience," said Brett Wingo, vice president and general manager, Cisco Home Networking. "The next-generation connected home is being brought to life for our customers with Linksys Smart Wi-Fi Routers, Cisco Connect Cloud, apps and our partnerships across the industry." 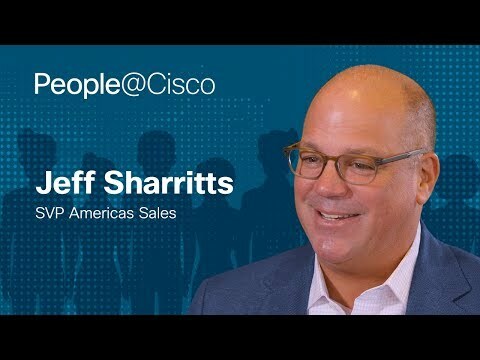 Because of the importance of superior usability in the connected home, Cisco has been working with a range of CE device and home appliance manufacturers on partnerships that deliver better experiences to a mutual and broader set of customers. Cisco's newest partnership is with Onkyoâ, an international CE manufacturer that has included the SimpleTap functionality in their new wireless 7.1 AV Receiver. Block the Bad Stuff brings safe web surfing to Linksys Smart Wi-Fi Routers in an easy way. Protect all users and devices from accessing content from security vulnerable sites, adult content and other non-family friendly sites. HipPlay allows users to play, beam, share photos, music, videos on their phone, tablet, PC, Mac or TV when they want, where they want. The Gemini IP Camera Viewer app for iPhone enables home monitoring at home and on the go for consumers on smartphones and tablets via Wi-Fi and cellular networks. The app also enables easy installation of home monitoring equipment. Twonky Video is a mobile browser for smartphones and tablets to browse online video services and "beam" them to your Smart TV or AirPlay devices. The Device Monitoring app "watches" your connected devices and gives you real-time status updates about them. Get notifications, for example, when your children go online with their gaming consoles or see how long they have been online. Netproofer helps parents restrict access to specific websites for all users or per specific device. Cisco also announced the opening of its Linksys Developer Community to assist app developers interested in working with Cisco to expand the Cisco Connect Cloud home network platform for Linksys Smart Wi-Fi Routers. More information can be found at here and at http://developer.cisco.com/web/ldc. Cisco today also unveiled the Linksys Smart Wi-Fi Router EA6500, the company's first router powered by the industry's next-generation 802.11ac wireless technology. Like the other Linksys Smart Wi-Fi routers, this new device works with Cisco Connect Cloud and the associated mobile apps for connected home uses and activities. To work in combination with this ac router, Cisco also announced a new 802.11ac-enabled Universal Media Connector for consumers to connect wired devices such as Smart TVs and game consoles at wireless Gigabit speeds. The Linksys Smart Wi-Fi Router EA6500 and Linksys Universal Media Connector are targeted for availability later this summer. More information can be found here. Cisco Connect Cloud is available for free starting today. Current Linksys Smart Wi-Fi Router owners will get an automatic update notification or can download the update manually at www.linksys.com. Linksys Smart Wi-Fi Routers will begin shipping with the Cisco Connect Cloud software preloaded starting in July. The Linksys Smart Wi-Fi Router line can be purchased at major retailers including Amazon.com, Best Buy, New Egg, Target and Walmart, as well as the Linksys online store. Cisco (NASDAQ: CSCO) is the worldwide leader in networking that transforms how people connect, communicate and collaborate. Cisco's vision for the consumer is to transform the home network into a solutions and services platform that delivers great customer experiences. Further information about Cisco and its full line of home networking products can be found at www.linksys.com.